Ireland is arguably the EU state with the most to lose from Brexit, given its close relationship with the UK. Anthony Costello argues that although the UK’s decision to leave could have clear negative economic and political consequences for Ireland, there is also an opportunity for the country to use the situation to increase its bargaining power and gain meaningful concessions. There are several political issues that will shape Ireland’s efforts in the Brexit negotiations. The consequences of Brexit for Ireland will be of economic, political and cultural significance. However, in the art of negotiation, negatives can easily be turned into positives; if the right language is applied, the right people are appealed to, and the right level of understanding and recognition is achieved from negotiating counterparts. The political negotiator is skilled in turning potential event-based consequences into (concession wielding) bargaining power. Akin to this logic, Ireland has much to achieve for both itself and Britain. At present, Ireland is Britain’s strongest ally. We must not ask what Ireland can gain from the Brexit negotiations for itself, but what Ireland can achieve for Britain in the Brexit negotiations. Irish national preferences are currently high on the EU’s agenda. Therefore, Irish bargaining behaviour will subsequently determine the substance of the Brexit deal. A ‘good’ deal for Britain i.e. a soft Brexit, will be a most welcome outcome for Ireland in terms of securing preferences. On Wednesday 29 March 2017, Article 50 of the Treaty on the Functioning of the European Union (the Lisbon Treaty) was triggered by British Prime Minister Theresa May. At present, the sentiment stemming from Brussels for the UK is tense. EU officials are reluctant to make Britain’s departure an easy one. The difficult matter of the ‘divorce settlement’ is not making the process any easier. To ensure the credibility of the EU as a purposeful entity, it is (from a certain perspective) understandable that the EU makes it difficult for Britain to leave. After all, if it is easy to leave the EU, yet still reap substantial rewards, then the process of ever closer union loses its raison d’etre. However, on the other hand, the harder it is for Britain to leave, the greater is the uncertainty of Ireland’s future stability. This is something that the EU (as a whole) is all too aware of. If Irish negotiators are to turn potential negative effects into concession-seeking instruments in search of a good deal that satisfies both the British and the Irish, then matters pertaining to trade relations, a Northern Irish border, the Peace Process and the rights of the Irish diaspora in the UK will be key matters at the negotiating tables. A bad Brexit deal – one which pushes Britain farther from the intimacy of EU economic activity – will likely have significant negative economic and political consequences for Ireland. A bad deal could see the implementation of trade protectionism in the UK, a loss of international market confidence and a potential recession. The economic spill-over effects from these developments would most certainly destabilise the Irish economy. As Britain is one of Ireland’s biggest trading partners, trade protectionism or a subsequent post-Brexit recession could lead to significant price increases in Ireland, effecting demand (and supply) over time. Considering that Ireland is still in a recovery phase, this would be an unfortunate development. By proxy of the complexities of economic integration, this would have far-reaching implications for the wider EU, especially for major stakeholders such as Germany and France. Thus, the matter of transferred negative economic contagion will be a key concern of European officials during the negotiations that will shape the Brexit deal. One could also expect this to lead to a relative easing of the EU’s demands on Britain’s so-called ‘divorce settlement’. Regarding Northern Ireland, multiple factors need to be considered. The installation of a border between North and South, in addition to trade protectionism and potential recession in the UK, will likely affect cross-border trade, as well as the economic viability and sustainability of rural border towns in both North and South. Hardest hit will be members of the farming community that provide a vital service to communities in these locations. Symbolically speaking, cross-border trade is important for fostering healthy North-South attitudes and relations. Any distance that should unnecessarily emerge due to a border would degrade the importance of border county interactivity in the development of North-South relations. Additionally, the political consequences for Northern Ireland would be striking. A barrier between North and South would likely lead to a sense of abandonment particularly amongst Northern Nationalists and Republicans who have developed (and rely upon) a sense of security which has been provided by the eradication of borders on the island. It is quite possible that any dissonance that emerges due to a border could easily aggravate inter-communal tensions between the two communities, thus endangering the credibility of the Peace Process. Any insecurity experienced by Nationalists/Republicans, combined with a revival in the growth of pro-Brexit Unionism/Loyalism, could destabilise the work achieved in the North. In addition to this, the matter of sustaining the credible commitments developed in the 1998 Good Friday Agreement must be factored in. In distancing itself from the EU, the UK can’t help but distance itself from the Republic of Ireland. This opens many questions regarding the sustainability of vital component parts of the Good Friday Agreement pertaining to Anglo-Irish cooperation over the North, and Southern Irish consultation. The British-Irish Council has already been neglected under the Cameron and May governments. Importantly, a hard Brexit will cut Northern Ireland off from vital EU funding which has played an important role in facilitating peace in Northern Ireland. The EU’s Structural Funds, especially the Common Agricultural Policy (CAP), has provided immense economic opportunities for Northern Ireland with benefits for alleviating socio-economic inequality between the communities (thus aiding the Peace Process), as well as providing Northern Ireland with a competitive place in the single market. This has been important for allowing Northern Ireland (and the two communities within) to reconfigure a sense of identity as members of the EU, independent of its/their association with the UK. Cutting off EU funds will have consequences for political, social and economic stability and sustainability. It is not known if Britain will substitute these funds. If Britain is hit with a recession, clear asymmetries in financial redistribution across the UK will be evident in a post-Brexit Britain. Northern Ireland is likely to suffer the most. This could further aggravate irredentist attitudes and de-stabilise the socio-political atmosphere in the North. Importantly, the matter of the rights of the Irish Diaspora in the UK will be of great concern to Ireland, as well as every other country in the EU. Like Ireland, European counterparts are rather concerned about the fate of their citizens living in Britain post-Brexit. Brexit will effectively allow the UK to alter its immigration policy and political and economic rights pertaining to its foreign residents. Considering the driving rhetoric that made Brexit a reality, it is not hard to conceive of such a development. This would have major implications for immigrants (Irish and otherwise) who live and work in the UK. It is imperative as European citizens living in a soon to be non-EU country, that a post-Brexit UK establishes necessary protections that act in accordance with the rights currently enjoyed by EU citizens living in the UK. 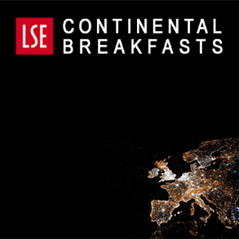 Legislation that challenges the political and economic securities of current EU citizens in a post-Brexit UK will certainly advance political tensions on the continent, which would only further deepen any animosity that is currently brewing toward the UK. If the status of EU Irish and other EU citizens in a post-Brexit UK were to diminish under UK law, economic implications for Britain would follow and would affect Ireland and the EU in turn. Additionally, Ireland will have to accept the burden of accommodating wide-scale migration flows out of the UK in search of greater political and economic security. Ireland would be the most obvious port of call as the closest most cost effective and most viable English speaking pro-EU member-state which could offer economic opportunities and political securities. Experiencing potential economic consequences from Brexit, one has to wonder how prepared Ireland would be in dealing with such an exodus considering its own housing crisis and rogue banking system. It is clear that the matters outlined above contain the ingredients for greater uncertainty regarding the future of Anglo-Irish relations and for the UK-EU relationship. To reiterate an earlier point, event-based political consequences can be turned into concession wielding bargaining leverage. Ireland has much at stake with Brexit. The type of outcome the British experience from the negotiations will determine the sense of economic and political security on the island of Ireland for decades to come. For this reason, it is necessary that the skilled Irish negotiator channels these potential consequences for Ireland (and the wider EU) to its European counterparts in such a way as to positively shape the outcome for a soft (or softer) Brexit. After all, the softer Brexit is for Britain, the more likely Ireland can alleviate some of its consequences pertaining to the matters outlined above. 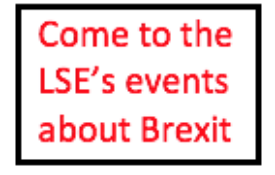 This article first appeared on the EUROPP blog and it gives the views of the author, and not the position of LSE Brexit, nor of the London School of Economics. Dr Anthony Costello is a Lecturer at University College Cork. Ain’t that the truth. If the benefits of the EU could be substantially achieved (in theory) with a far looser arrangement built on nation-states, why not reform the EU towards that? What would be the added benefit of federal union? Ever closer union for *what*?